A firewood guide on buying, cutting, storing, and burning wood. How can this firewood still be wet? It's too much work and my back is killing me! This woodstove doesn't work anymore. Has anyone seen the splitter? Sound familiar? The truth is that using firewood is more efficient, easier and more rewarding than it has ever been. You just need the knowledge to get the most of our your experience. That's where I come in. My name is Matt Galambos and I have over 10 years experience in the forestry business. I'm an ISA Certified Arborist and have been tending the woodstove ever since I was a little kid. I started this site because I wanted to share my knowledge with people in a simple, easy to read manner. Lets face it, when you visit a website like this, you want information and don't want to search for hours to find it. Right? That's how I feel, too. Everything on this website is written in a concise, logical manner with extremely simple navigation. Here you'll find reliable information from an industry insider without having to sift through all the "mumbo jumbo" to find what you need. At this site, I cover everything from "stump to stove". Bottom line-if it involves burning wood, you'll find your answer here. 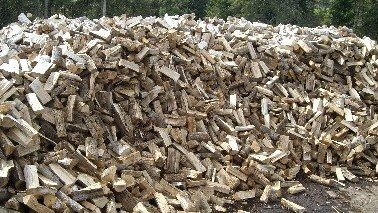 If you are looking for information about firewood, please browse through the site for any topics that interest you. If you can't find an answer, ask a question at the Ask an Expert Page. A list of topics below will help get you started. This instructional video is the best firewood dvd on the market. Learn what's included in the DVD. The Firewood Blog keeps you up-to-date with all additions and changes to the keep-it-simple-firewood.com website. Ask a firewood expert. Visit us for the answers to your firewood questions! How to cut firewood? It's easy, we've covered the basics for you here. Buying Firewood? Don't make the common mistakes. Buying firewood is easy, as long as you know what to look for. Visit us for a list of reputable dealers. These firewood equipment items will make the job easier and faster for you. Product explainations and reviews! Firewood Types. Learn about the best firewood species. Using wrong firewood types can be a big mistake. Don't lose money! Visit us to make sure you don't end up burning the wrong firewood species. Firewood facts contains various information about firewood and its uses. Firewood for sale at many different locations. We have compiled the most comprehensive list of top notch firewood suppliers in North America. Don't get ripped off, buy from a reputable company! Wood burning Fireplaces can add a cozy warmth to you home. Learn about the different types and accessories that are used with the wood burning fireplace. Learn about chimney construction and how chimneys work. Read and share stories about firewood. Learn from other peoples trials and tribulations and share your love for the outdoors and firewood. Visit here to contact us with comments or questions.